So , the YMCA has been our go-to for swim lessons the past couple years. Aria and I have done two sessions of Mommy & Me classes, and just this past March she began swim on her own in the Pike class. Well, kinda. 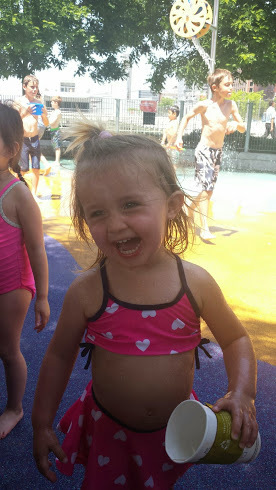 The reality of the situation was Aria had zero interest in getting in the water by herself. While the other 3 & 4 year old girls in her class had the time of their lives, bobbing on noodles and jumping off the side into the instructors arms, my little one wanted no part of any of it. The first class she refused to even go in the water, and only after some serious bribery agreed to go in– which in reality meant permanently attaching herself (in a death grip) to the instructor. The whole class. Class #2 was exactly the same, and when we got to class #3 she complained and cried the whole day leading up to swim, and insisted she just wanted “sign out” (btw-I have no idea where she got that from, but good on her for figuring out that that was even an option). This presented a bit of a conundrum though, since I feel like there’s a time to push kids (knowing once she got over her fear, she’s be a full on fish), but also a big difference between pushing/encouraging and forcing. In the end Aria got her way (she quite often manages to), and we agreed to postpone lessons until the she feels a bit more positive about the whole situation. We really wanted her to learn to swim since we live on a lake for a good part of the summer, but ultimately I don’t think it works to force our kids in fearful situations. So, we’ll keep on with the water wings and letting her do her own thing for now. Some battles just aren’t worth the fight. Incidentally, the McBurney YMCA is doing SWIM WEEK from April 6-10 and offering FREE SWIM LESSONS for members. A full list of Hudson River Play areas here. We also still love to do this at the river. 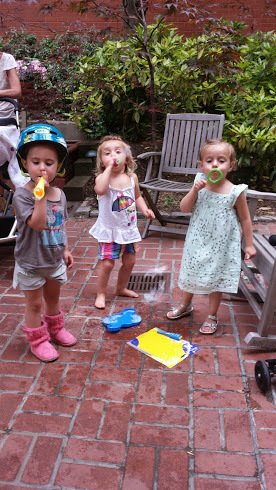 Girlfriends and bubble parties in the courtyard. And when it’s REALLY hot… these work too. So, it’s FREEZING here in NYC again, and that means no braving it on the playground (although we’ve been known to do it when no other kids would dare!) Having the temps drop, means having to figure out indoor spots to entertain the littles. Here are a few of my neighborhood favorites (& ways to save when visiting). CMA– The Children’s Museum of Art offers classes and activities for children of all ages. Toddlers can paint, color, play in their bouncy ball gym and enjoy creative art exhibits. Thursday afternoons are “pay as you wish” and a perfect opportunity to visit and check out the offerings. Karma Kids Yoga: I LOVE my yoga and Karma Kids has the most offerings for the little ones. With two studios centrally located not far from Union Square, they offer kids yoga and dance classes, mommy & me and pre-natal classes, and fun events and themed classes like Shark Yoga and Pajama Glow-In-The-Dark Yoga. They also have a great FREE story time twice a week and discounted community classes. Integral Yoga: Another great yoga class for kids. Instructor Lakshmi Pidel takes toddlers (and moms) through simple poses using singing, music and props to enliven the experience. Classes are 45 minutes and just under $20. You can also try it out for FREE (first timers only), and the studio is included in my favorite yogi money saving resource, the Yoga Passbook, so you can access two more classes using that. 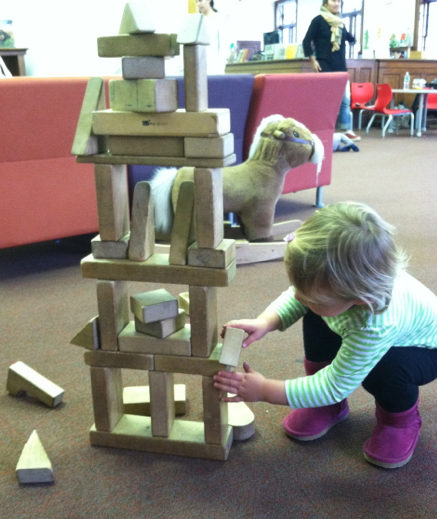 NY Public Library: The NYPL offers a variety of toddler and baby classes and story times. The Hudson Park branch used to be our go-to (they had a great big play area with lots of toys), but they are closed for renovations until spring (hmgh) so we’ve been heading over to Jefferson Market for story time which is a fun hour of stories and crafts. Libraries throughout the city are a great FREE resource and programs are offered throughout the year. YMCA: I wish I had known all the great stuff the Y offers sooner! They have programs for kids– from swim to dance to pre-school prep classes, all at a very competitive price– in fact cheaper than anywhere else around the city. You can sign up for classes alone (most require commitment for a term), or join as a member and take advantage of the gym, pool and other amenities. My local Y is super nice with state of the art work out equipment, group fitness classes and (most importantly) Child Watch services that allow parents to drop off their little ones to be watched while they work out…for free. Preschool In The City: The Interview. So, Aria had her first “interview” at Barrow Street Nursery recently. Essentially (and thankfully) it was only observed play in a classroom, and pretty painless. She and four other kids rotated at different play stations– a little kitchen with tea pots and dolls, a table with puzzles and toys, and another covered with paper and marker paints. One parent of each child (me in this case) was allowed to sit in but were asked to not get too involved. I must admit, a time or two I had to hold my tongue when my natural reaction was to interject or direct her (or praise her and call attention to something she was doing that was particularly impressive:). What exactly NYC preschools are looking for during these interviews, I’m not sure. I’d say she did well, but she definitely didn’t follow every direction and certainly didn’t pull out all her charisma and charm (I guess that’s reserved for audiences in her own living room). She played well and didn’t cling to me as one of her other little co-interviewees did his mom. She was herself (although perhaps a toned down version)– showing her nurturing side with mothering dollies, unabashedly expressing her will when another little boy tried to pry the tea pot our of her hands, and asserting her independence when she decided to rearrange the little chairs instead of sitting down on the rug for story time (free thinker? artistic expression? Surely thing was a good thing??). Anyway, regardless, I’d say it was a success. If nothing else it’s planted the idea in her head that school is fun. She did not want to leave when it was time, and has brought up going back repeatedly since. As mentioned before on this blog, I didn’t apply to any other schools, so we’ll see where she ends up. The mom next to me applied to 11, but Barrow was the only one they made through the lottery and got an interview. I guess I should feel good since essentially we’re 1 for 1. Chatter on the playground: Where did you apply? I wish I had applied to the two co-ops. Subsequently (and unfortunately post-deadline) I have heard great things about both. Parents take a larger role and are more involved in co-ops and (because of this) they are considerably less expensive. I also wish I had read this article which tells you a little bit about what to expect and gives a few tips. Luckily, I did keep my mouth shut, and her independent streak and will may very well have been a looked at as a positive in the end. Good thing because ends up preschool is the best job training program out there. Or at least according to this article. Need help navigating the preschool madness ? 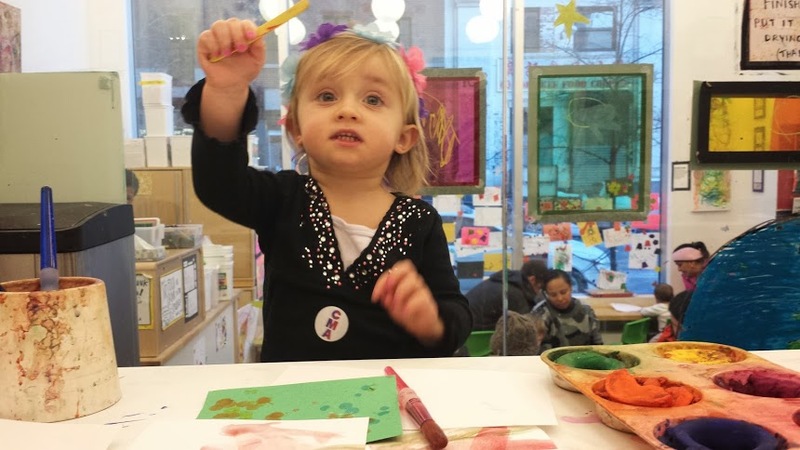 A great listing of NYC preschools (listed by neighborhood) can be seen on MommyPoppins. I rarely get star-struck. In the old days I would interview celebs and notable folks and have never asked for a single autograph and rarely even snapped a pic. Living in NYC, I feel like I cross paths with celebs all the time- Maggie Gyllenhaal on the sidewalk in Soho (so nice), Hugh Jackman walking the river w/his fam (just the other day), Prince Harry having cocktails at Soho House, and always Martha Stewart who makes regular appearances at our playground (her grandkids live in the hood). If I do a double take, that’s a lot, but forget about approaching. That’s why my behavior at STK last night caught me completely off guard. I was standing at the elevator waiting to go back up to the roof and down the hall I spotted Rory McIlroy (yes, some of you reading this probably don’t even have a clue who he is. I know I didn’t before meeting Aria’s golf fanatic dad). Before I even caught myself, I was calling his name and walking over to him like we went way back. I was that girl– spotting a “celeb” (can I even call him that?!) and pestering him on his way into the bathroom (embarrassing!) He was ever so gracious, had a chat and asked if I was headed to the roof (which I was), and said he’d come up and take a picture. I went back up to our table and sent Aria’s dad a quick tweet about my encounter. He, after all, was the real reason I got so excited about spotting the PGA golfer. Rory did in fact end up coming up to the roof. I spotted him over my second course, but by then had regained my senses (and dignity) and decided to leave the poor guy alone. 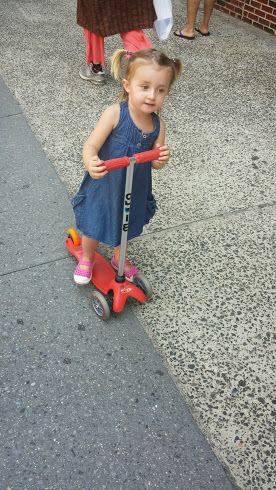 Just a little NYC moment… now back to reality and following Aria back and forth to the bathroom a hundred times when she says she has to go potty (but doesn’t). 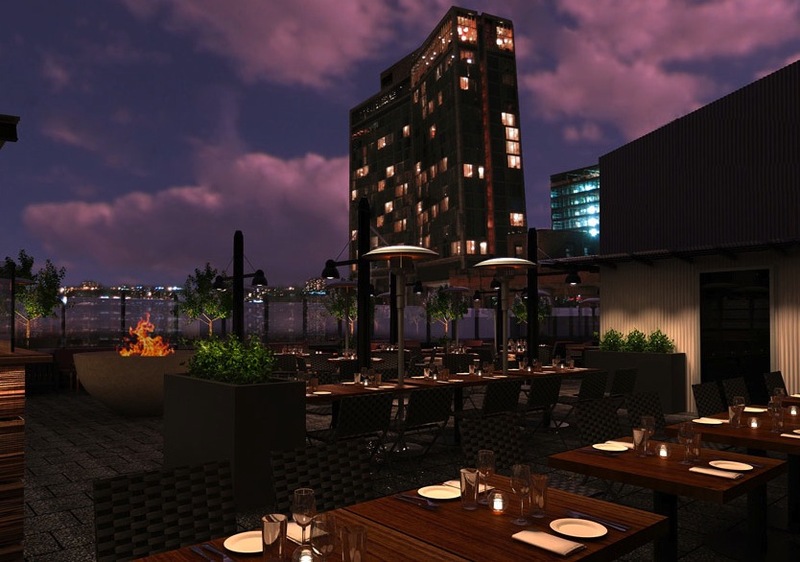 Until recently when I heard the name Gansevoort my only association was the trendy NYC hotel chain where I would sip cocktails rooftop or work them off at Exhale. 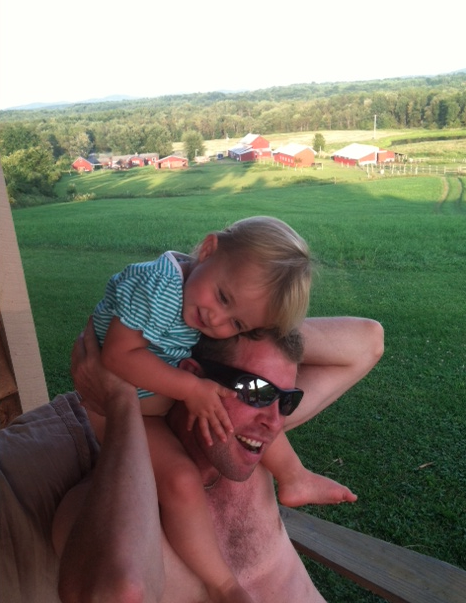 I came to find out, Gansevoort is also a town about 3 hours north of the city (near Saratoga Springs) which would become the destination of our very first road trip with little Miss A.
I had found a sweet little cabin on a farm on airbnb and since Aria is obsessed with animals I thought it would be an adventure. And, adventure it was since the cabin was without electricity or running water (I totally knew this going in), and although a very slight inconvenience at times, it totally added to the experience. The cabin itself was gorgeous (beautiful wood interior from floor to ceiling and tons of windows) and the location was perfect for unwinding. We would wake in the mornings to total silence, except for the occasional distant whinny of one of the horses (Aria’s first word in the morning was always an exuberant “Horsey!”). Each day we would go for walks and wander down and see the animals. Evenings consisted of watching the sun go down, cooking out ( on the fire pit/dutch oven, propane burners or charcoal grill) and sitting on the front stoop star gazing and using lanterns to light our way inside. We throughly enjoyed “roughing it” and the beauty, serenity and fun we found there. Although we could have easily stayed put and enjoyed the weekend without ever leaving the property, we ventured off and found some great local spots. 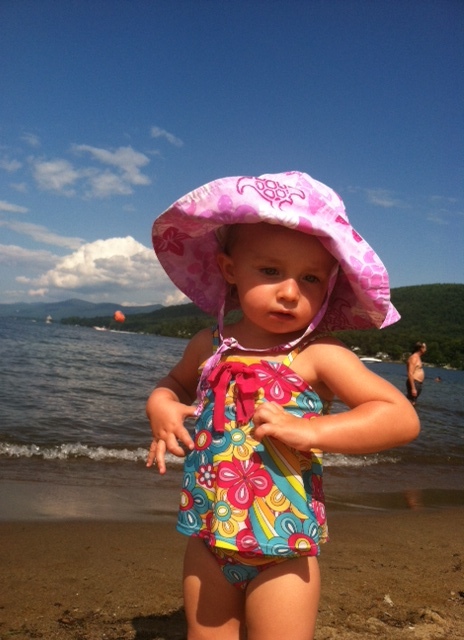 On Saturday I dropped Aria’s dad to golf, and she and I hit Lake George State Park, a lovely spot with several little beaches, a very touristy beach main street and trails and campsite (we snuck in a hot shower there). On Sunday we all hit Saratoga Springs, which, much to my surprise, I loved. It has a great main street, cosmopolitan restaurants and a whole lot of charm. Of course, Saratoga is known for the horse race track so on the way back we checked out the ponies and placed a few bets which was good fun. All around it was a winning weekend, and one I’d totally recommend for any urbanite looking to shake off the city and get back to the basics. So, while at the the playground this morning I had a city mom friend inquire about my stroller hooks. 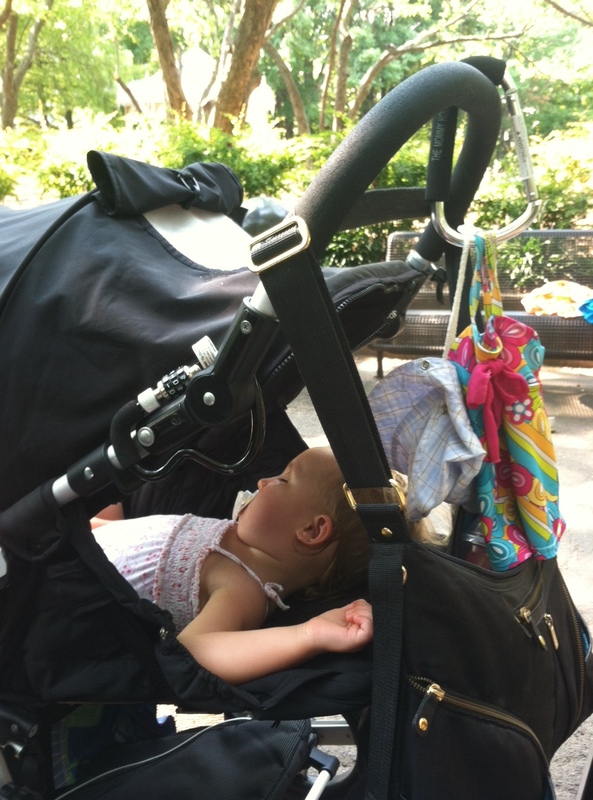 I have several on my Bumbleride stroller and really think they are the MUST have stroller accessory here in the city. So, I have the Mommy Hook (picked mine up at Babies R Us) and although it broke on me once (to be fair that was likely my fault as I tend to overload), I purchased it again because it’s big, fits well on the handle and is easy to maneuver. 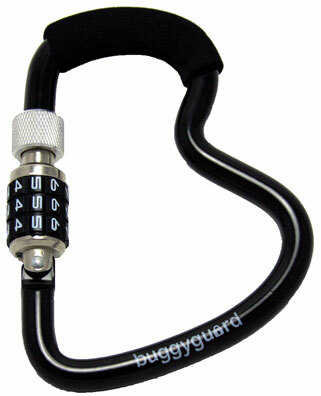 I also have buggy guard B Hook which is a hook and lock in one, which comes in handy if you even need to lock your stroller to a gate or chain like I did the other day when I didn’t want to drag it into a restaurant. I also had some hooks by sunshine kids which I don’t recommend because they broke within the first week or two, and I also just picked these up by Muchkin but have yet to try them out (and, yes, I am a bit obsessed). So, I am a huge fan of the hooks but you do need to be careful not to overload them or you risk the stroller falling backwards from the weight. Hence, me always making sure I fully fill the bottom basket with wine or some other heavy groceries before I add the excess to the hook. Bottom line– must have!